Did you know that what we now celebrate as Mother’s Day was originally an act of antiwar feminism? Julia moved from a strict father to an even stricter husband, Samuel Gridley Howe, a famed teacher of the blind, who fought with Lord Byron for Greek independence, a noted abolitionist who joined with other Unitarians, including ministers Rev. Theodore Parker and Rev. Thomas Wentworth Higginson, to form what was called the Secret Six committee providing arms and financial support for John Brown’s Harper’s Ferry Raid. Julia had formed a strong attachment to Parker and his abolitionist views. On a November 1861 night as she sat at the edge of her bed at the Willard Hotel in Washington, D.C., remembering Union soldiers earlier in the day marching and singing to the tune John Brown’s Body, she composed the Battle Hymn of the Republic. But this song, which some tried to make our national anthem, is not Julia’s only significant accomplishment. For the last third of her life, she embarked on a crusade for women’s rights, served as president of the American Woman Suffrage Association and founded the Association for the Advancement of Women. In 1870, she wrote “An Appeal to Womenhood Throughout the World,” an appeal for peace after the carnage of the Civil War and the Franco-Prussian War. 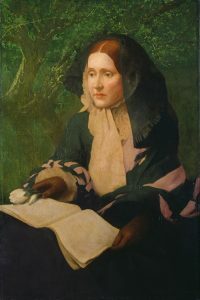 It later became known as the Mother’s Day Proclamation, and in 1872, Howe proposed a celebration on June 2 of every year to celebrate a Mother’s Day of Peace. Her appeal is included in our hymnal, Singing The Living Tradition. Thank you, Jim. I loved reading this, partly for the information and partly because it was from you. Thank you, Jim. I enjoy learning about the threads of history which link people to great public events. You always provide some elements which are new to me.